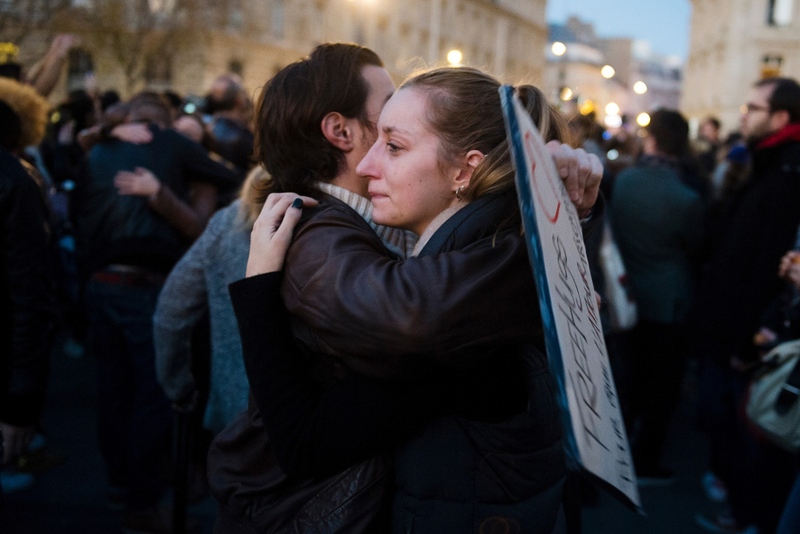 Free hugs are handed out at Place de La RÈpublique two nights after several coordinated terroristattacks killed over a hundred people in Paris, France. Flowers and candles outside restaurant Le Carillon where five people where killed in a terror attack. 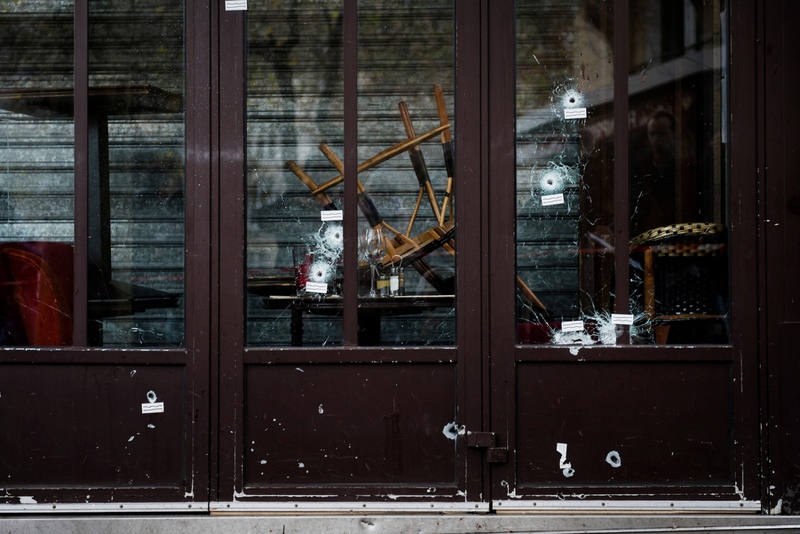 Several coordinated terrorist attacks killed over a hundred people in Paris, France. Panic breaks out as a false alarm about another shooting breaks out two nights after several coordinated terroristattacks killed over a hundred people in Paris, France. 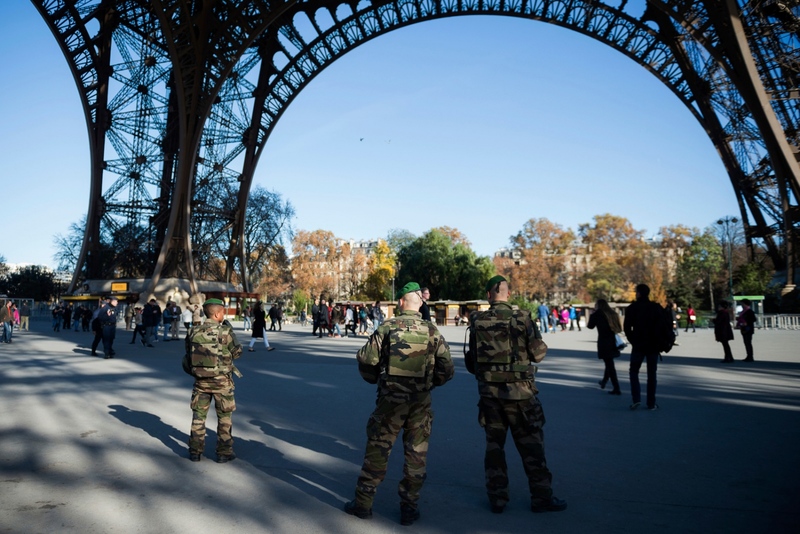 Soldiers patrols the streets under the Eiffel tower two days after several coordinated terrorist attacks that left over a hundred people dead. 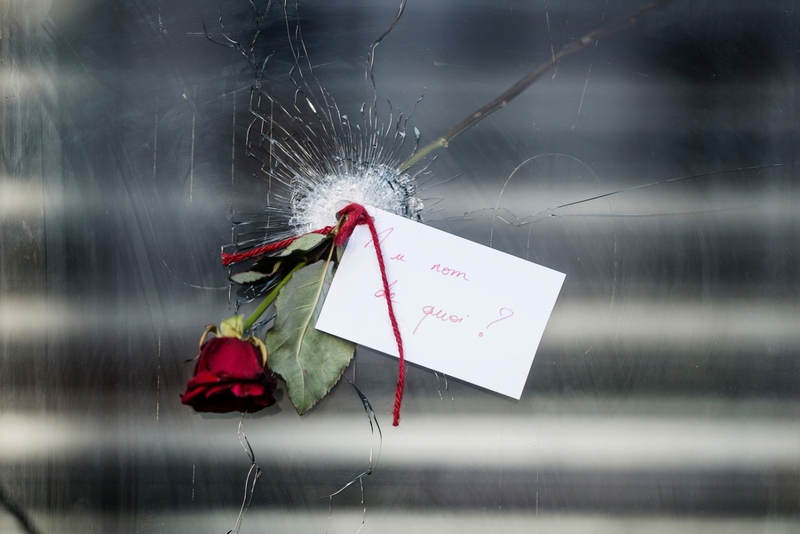 A rose tucked into a bullet hole in a window next door to La Belle Equipe, one of the restaurants targeted in the terrorist attacks in Paris that left over a hundred people dead. 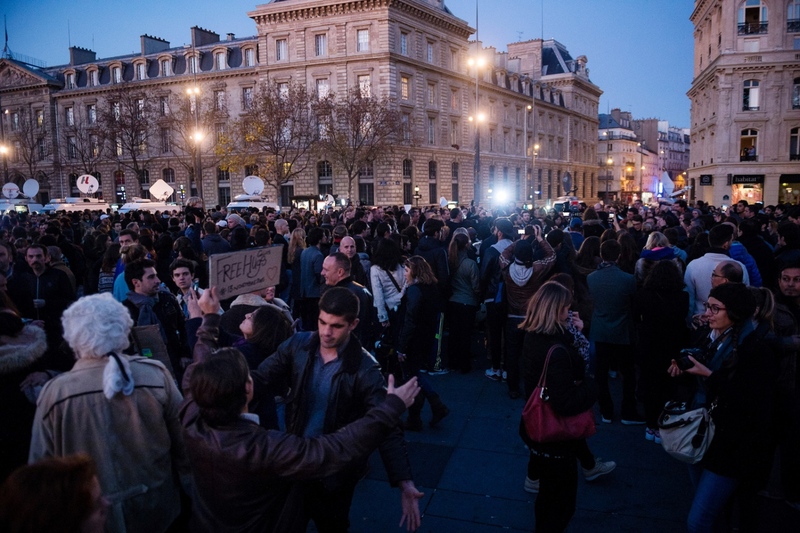 A man holds a sign offering "Free Hugs" at Place de La République two nights after several coordinated terrorist attacks in Paris left over a hundred people dead. Bullet holes in a window close to restaurant la Belle Equip where several people where killed in a terrorist shooting. 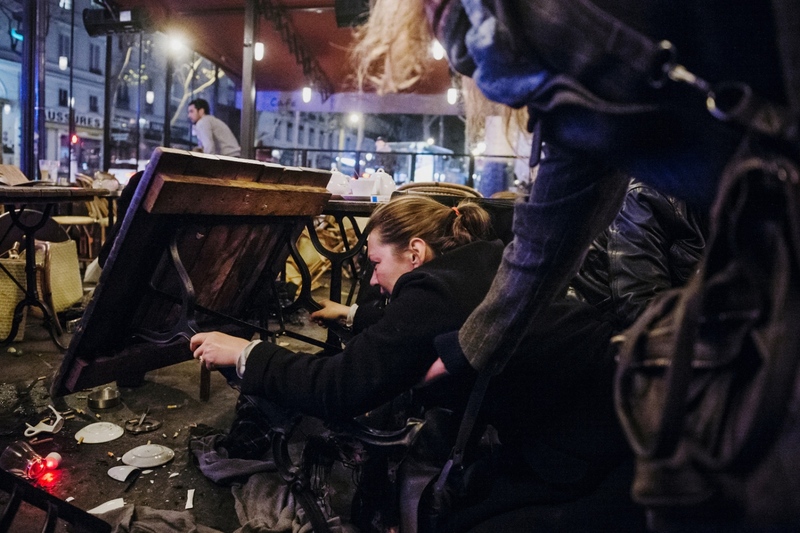 Several coordinated terrorist attacks in Paris left over a hundred people dead. A woman holds a white rose during a silent minute at Place de La République two days after several coordinated terrorist attacks in Paris, France, left over a hundred people dead. 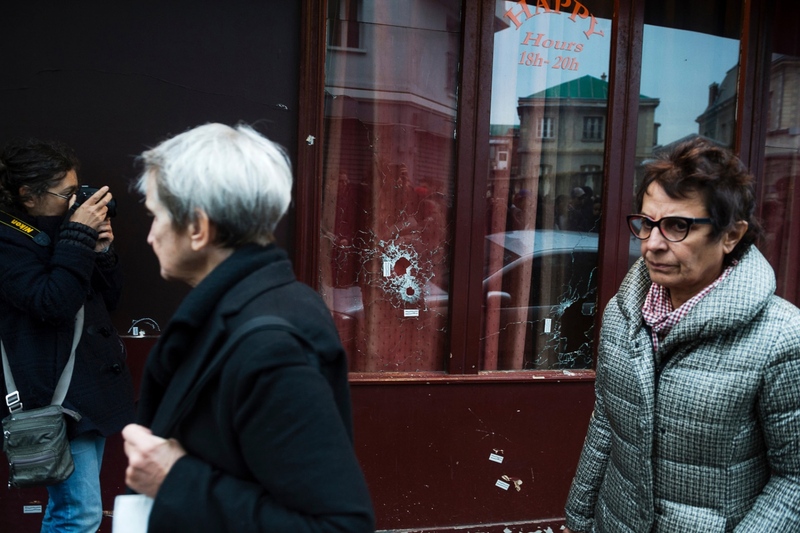 Bullet holes in the windows of one of the restaurants at Rue de la Fontain au Roi, where five people where shot to death in a terrorist attack. 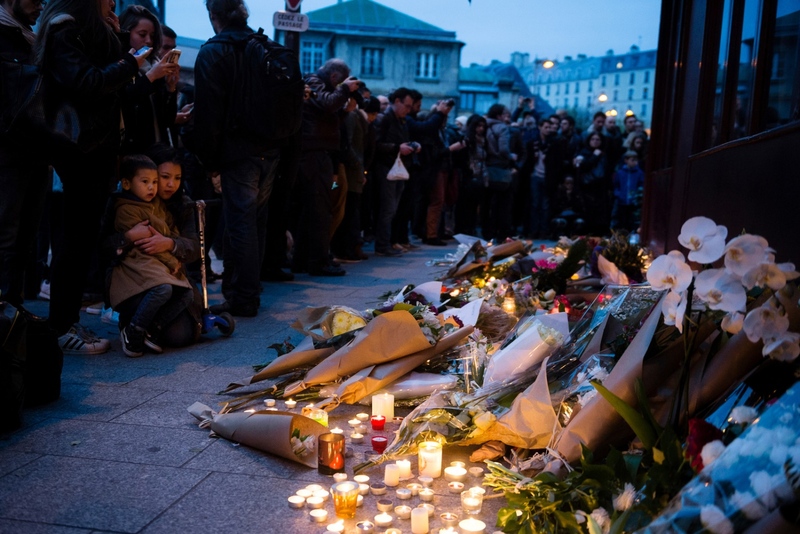 Several coordinated terrorist attacks in Paris, France, left over a hundred people dead. 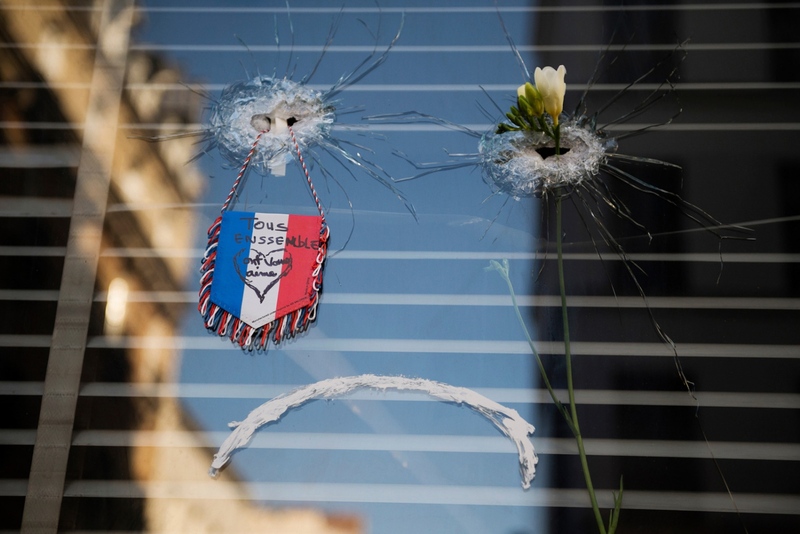 Bullet holes in the windows of the restaurant Le Carillon, where five people where shot to death in a terrorist attack. 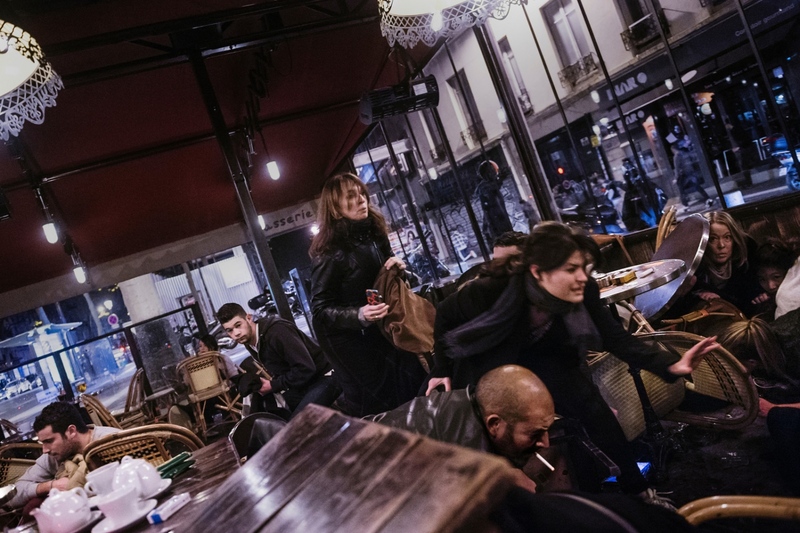 Several coordinated terrorist attacks in Paris, France, left over a hundred people dead. On November 13, 2015, a group of terrorist launched a coordinated attack on Paris, France, leaving more than a hundred people dead, and causing France´s president Holland to issue a state of emergency and to call in the military to help the police watch the streets. 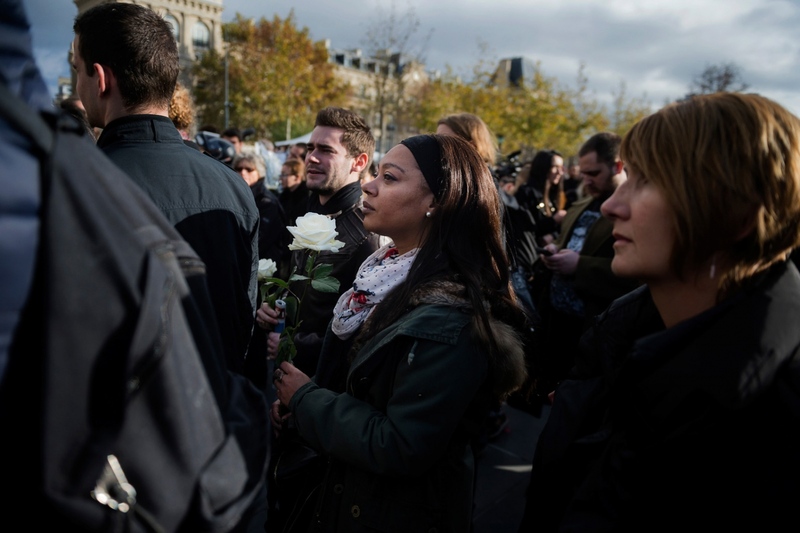 The Parisians came together in sorrow to honor the dead and to show their combined strength. 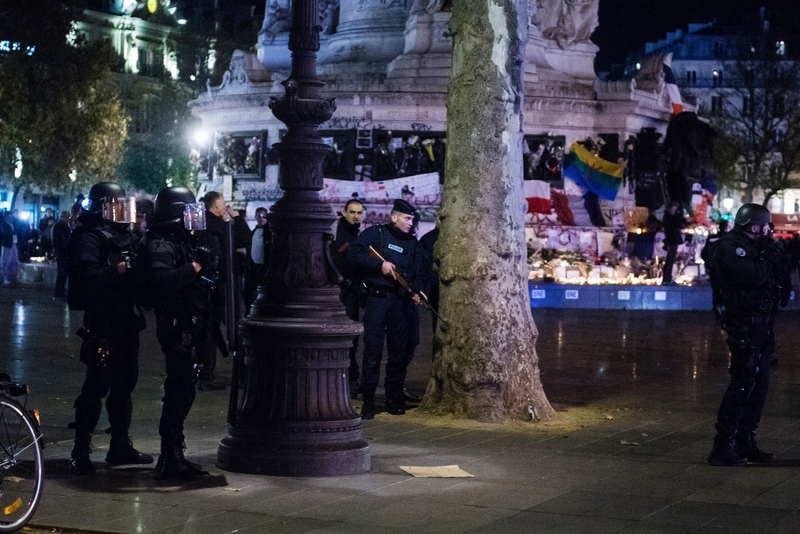 On November 15 a false alarm of another attacked caused panic throughout central Paris showing just how tense the situation is.